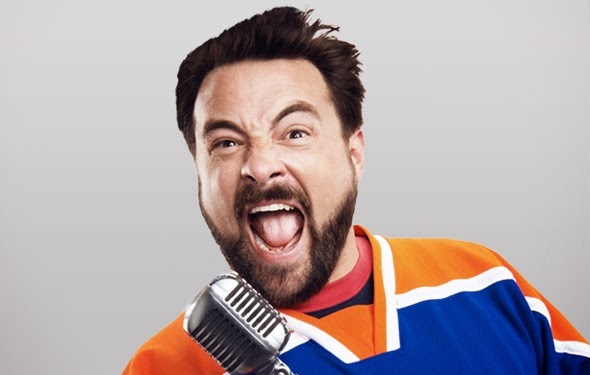 On Monday Kevin Smith shared on social media that he had just visited Pinewood Studios in London where Star Wars Episode VII is currently being filmed, and was literally brought to tears by the experience. Today Flickering Myth is reporting that after visiting the Episode VII set, Smith was a co-host on the Hollywood Babble-On Podcast, and spoke about Episode VII. “They had a sign at on the stage – I can’t even say which stage – which had the Imperial Starship logo and it said, ‘loose lips sink starships”. He also reiterated that he had signed a non-disclosure agreement, but that didn't stop him from revealing that through a head nod that he saw Lightsabers, Blasters and (Spoilers) Stormtroopers on set. While the first two were obvious, the latter could confirm some previous rumors we've heard. It is certainly exciting to hear someone like Kevin Smith, who is obviously a huge fan, talk very highly of this film. In case it wasn't obvious already, Star Wars is in superb hands. Star Wars Episode VII is slated to hit theaters December 18th, 2015. Wow. So revealing. No point in seeing the movie now. Why be a jerk? There's enough of that around.